Halloween is upon us, and for the first time in 3 years, Hubs and I are attending a costume party. He sat down with me after Red had gone to bed last night, and told me what he wanted to be (for the first time EVER. He normally says to just dress him up and I run with it). I was so into his choice. He wants to be Ralph, from the Disney/Pixar film Wreck It Ralph. I think it’s an excuse to take Red to the toy store, but…. Where does that leave me? I wanna match this year!! 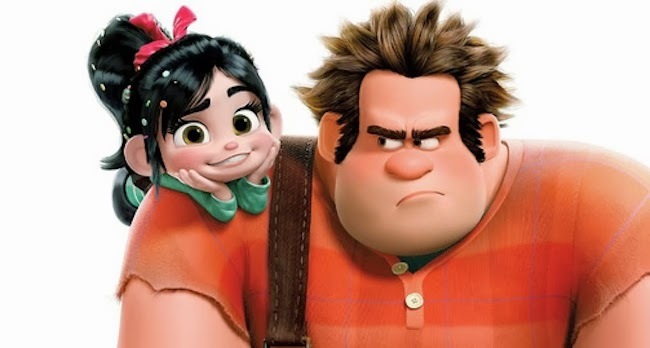 So Vanellope Von Schweetz it is. What a fun character, with tons of accessories and even more pattern and texture. I view this as a challenge, a blessing, and mostly a curse. I don’t talk much on the blog about my job, unless a show is in tech and I have to disappear from reality for a week at a time. But between now and Halloween (12 days) I have not one, but TWO shows to tech and mount. Two very large, extremely challenging shows, each with difficulties of their own. Add two Halloween costumes to the already large pile of work, and I don’t know how it will all get done. But it will. I have “ol’ Ham Hands himself” supporting me the whole way, as well as two epically hardworking design teams. I wish I could share photos of my “process” so far with Vanellope, but it’s all still in my noggin. I have a friend helping me paint tights, a wig on order and goodwill to shop. And costumes galore to finish. So, if you don’t see much of me in the next 10 days, cross your fingers and think good thoughts. EDIT: Click HERE to see the costumes all finished up! Super cute idea! I can’t wait to see the pics!!! It’s coming together… I do a little big everyday and hopefully I’ll be done for the trunk or treat on Sunday! Thank you! I’m such a perfectionist that I’m trying not to cut ANY corners! too bad we don’t have a costume contest this year!